That Little Ol’ Band from Texas, finally made it back to the Western NY area Tuesday at Artpark. 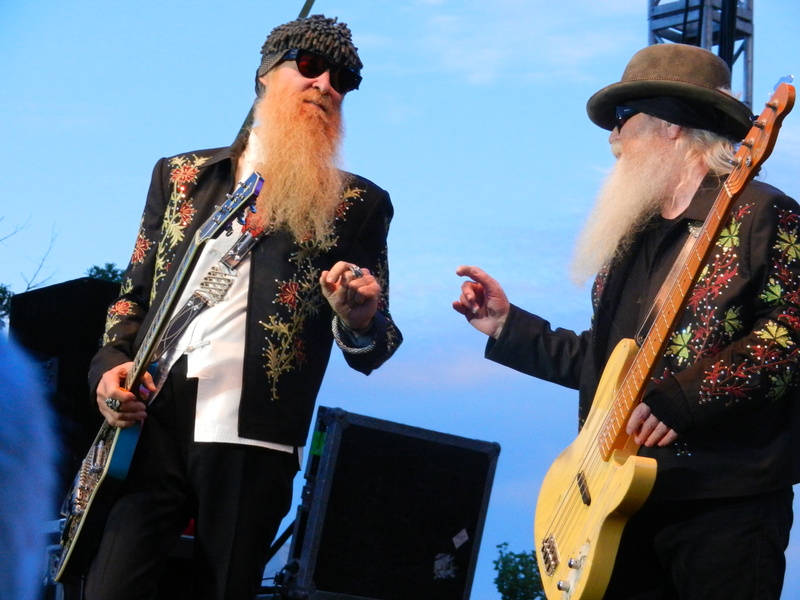 ZZ Top has played very few shows over the past 10 years in the area, so this made the show that much more of an event. Heck 97 Rock even brought Carl Russo out to broadcast live so it had to be an event. The fans did not disappoint as the huge populace had the whole bowl and even the hill filled up by 5 pm with lawn chairs. Hitting the stage the band launched into Got Me Under Pressure from their huge 1983 album Eliminator. The band played a bunch of lesser known material earlier on then an amazing version of Pincushion brought even more response from the crowd. The band even dug up Brown Sugar from their debut album in 1971. ZZ Top brought along a lot of props to give a more visual show than your typical Artpark concert. Drummer Frank Beard’s drum kit was all decorated up in a skull theme. There was also a huge video screen in the back of the stage that displayed various images to coincide with the songs. The band continued to reel out songs and ended with a three song barrage all from Eliminator. Gimme All Your Lovin’ right into Sharp Dressed Man followed by Legs had the crowd in a frenzy. Back for a quick encore of La Grange before finishing off the show with the classic Tush, the band took a quick bow and disappeared into the night. Some in attendance might have felt slighted with only an eighty minute set. I feel with the limited number of times the band has played here over the years and with the special feeling in the air the band could have done a tad bit better.